There was a story in Jun’s blog few years back. “Kohei have huge influence on me. I have known him for quite some time, ever since I was a teenager, visiting Shikoku for the JPSA contests every year.He was, and still is a standout shaper and surfer in the area. We became very close, and he always gave me very important advice for things, even at my own home Hawaii. He is a North Shore’s regular for years, and he took me under his wing, pushed me to surf points like Pipe and Backdoor. He even picked me up from town for me to surf North Shore although he stays right at North Shore.We also have countless surf trips together.There are many people who are kind to me just because they want me to return some favors, but Kohei is not that kind, far from it. He is just one of those people, who is very, very kind, wise and pure. He gives a lot and not expecting any return. 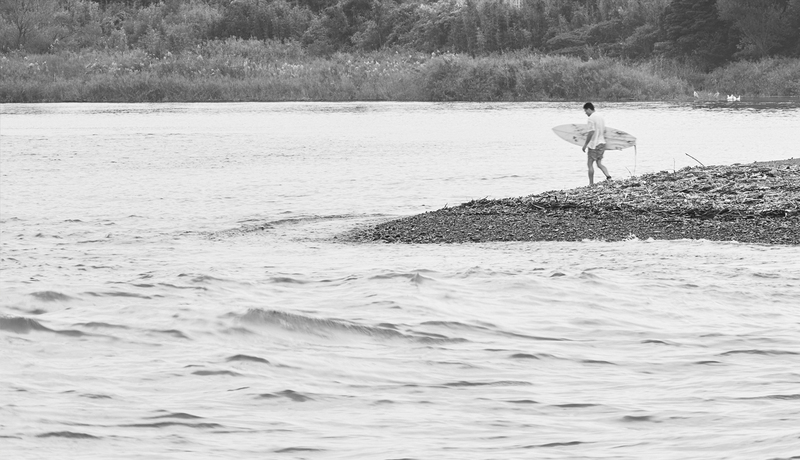 Kohei and Jun have flown many, many miles together over the pacific, and memories of trips and sessions are countless.There is one memorable surf session, right here in Shikoku. Jun was still in JPSA tour, in the late August, hot sunny days with possible Taifu swell coming in. No Cell phone or internet, nothing like Surfline were available. Surf forcast is solely based on the weather report and your instinct.Kohei was shaping and waiting for the right timing for the swell. 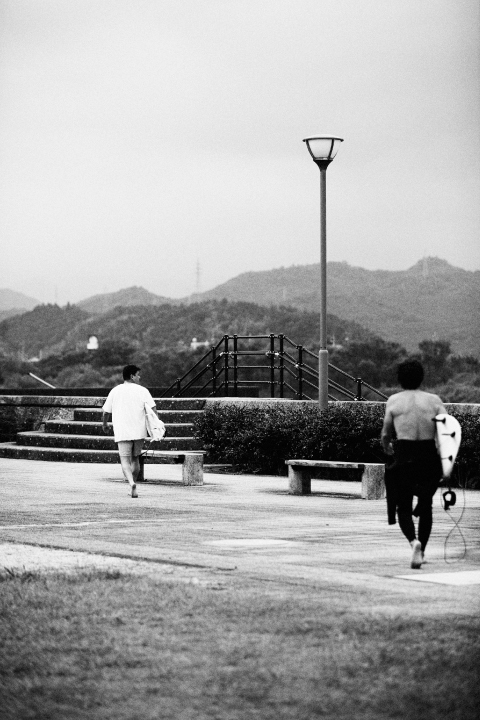 That late afternoon, he dusted himself off, picked up the phone and called Jun, who was at Shonan, 800 Km away, saying, “ Hey Jun, I think tomorrow is the day. Tide will be perfect in the morning.” Jun replied “ OK!” and hang up.Jun arrived that night with the last flight from Tokyo, no bag, no surfboard, just a trunks and sticker from his sponsors. They stayed hotel near the airport, and hit the spot before the sun was up. Too dark to see the wave, but they both know from the sound of wave breaking , it will be an epic day. 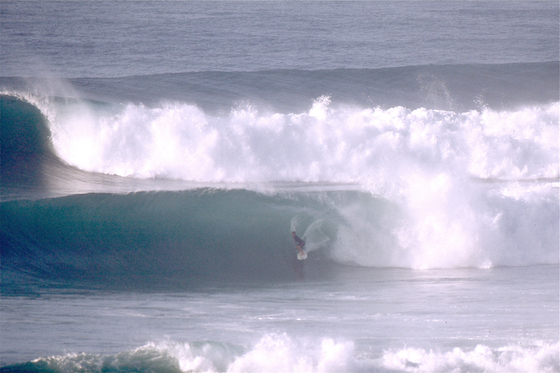 6 foot, sunny and glassy, all day long.The spot have 3 different tube sections and they lined up seamlessly. Endless perfect tube was peeling and they surfed their brains out. The day was unforgettable for both, and after over 20years , that day is still the best day ever at the point’s history. It was short lasted, one day only wave but the fact that Kohei and Jun was able to score that special day, is still the pride & joy that can be shared only with them.Jun went on to surf more contests, and became JPSA champion for few years. He retired from the tour, went back to Hawaii, start his own brand. Now, younger surfers looking up to him, even admire what he have achieved.Kohei still surfs & shapes in Shikoku, providing cutting edge surfboard designs for the top surfers, also classic alternative designs for the locals and life long surfers all over the island. They collaborated and create the very successful model called Jun Jo Model, which Type #3 will be released soon.Even after 20 plus years, memory of that particular surf session still provide Jun and Kohei a joy, peace and pride , may be even helped to keep their motivations to get going with whatever they are doing at the time……with their own styles. When Mini Board became “the thing”, Jun was thinking….”Not only just glide easier on mushy wave, I want the board to curve the pocket and hit the rip better. That should work from super small ankle high wave to solid 3~4 foot wave. If that is possible, I only need to take 1 board to most of the trips….” The discussion with Kohei was kept going for over an year, and they tested proto types both in Japan and Hawaii, 303 x Jun Jo Model was born.Decent volume on the nose area, with modern rocker, narrow round pin tail , this hogh performance model provide easy control on any conditions. With it’s 5 plug set up, you can chose mini size, normal size, or longer, thicker size. This dependable design would fit to any need for any level of surfers.2nd generation, 303 x JJ2 have narrower nose to perform sharper moves, that have balanced with wider squash tail to keep the character of the model. Yujiro Tsuji rode this particular model during his successful run at JPSA tour, eventually became Grand Champion. This proves that 303 x JJ2 model does it all.Jun was Yujiro’s team mate and mentor, and when Yujiro was very young, he gave an advice to him “ Hey Yujiro, you are sweet kid, but you have to have a switch to be tough guy. Especially in the contest, you have to turn your switch onto become a tiger! 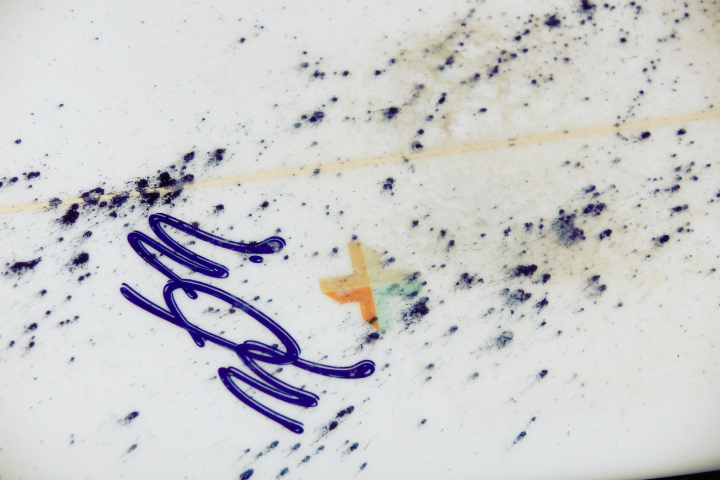 “ Eventually, he used the switch, all the way to become a Japanese champion surfer.All of our 303 surfboard models have a story like this. We do not necessary tell the story all the time, but the surfer will feel it when they ride the wave with our boards.Regardress of what shape or length is “in” , or what design is believed to work the best, stories, experiments and tests will make all of our boards somewhat special to the surfers.Kohei believes he rides boards with his heart, not with his head.With that, story will be told, then passed on to the owner of the board.Just like the friendship that has been going from Kohei to Jun, then Jun to Yujiro.